A unique mix of video editing, visual effects and 3D compositing for filmmakers and professional motion artists. Everything you need in one product. From short ​films to documentaries, commercials to vlogging​ - HitFilm has features for beginners and experts alike, combining depth and sophistication with an intuitive simplicity. 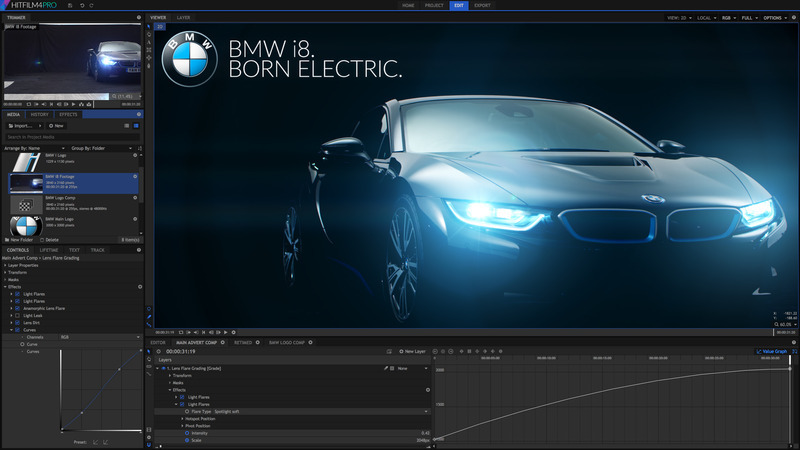 Chief among the advancements are a powerful video editor, greater realism when rendering 3D scenes, advanced animation controls and a refined interface. Also included is HitFilm Ignite (over 140 plugins for all major video platforms), mocha HitFilm and BorisFX 3D Objects to create incredible title sequences. ● UPGRADED 3D model renderer: Diffuse lighting, specular reflections, texture improvements, bump & normal maps deliver incredibly realistic results. ● UPGRADED HitFilm Ignite: Over 140 plugins for major video software, including Sony Catalyst Edit. ● UPGRADED mocha: The latest version of mocha HitFilm adds the ability to export tracking data for using in corner pinning. ● UPGRADED audio tools: Includes noise reduction, equaliser, doppler shift, echo, reverse, ambience, pitch and balance for perfect audio. ● UPGRADED editor: Rate stretch, playback controls & workflow improvements. Designed for you: ​HitFilm 4 Pro combines depth and complexity with an intuitive simplicity. There are features for beginners and experts alike. 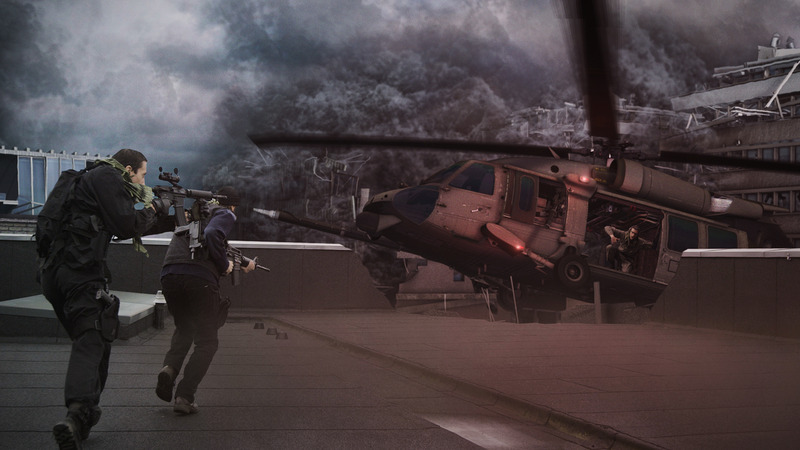 Everything is here, from editing and 3D compositing to particle effects, professional keying and 3D object rendering. 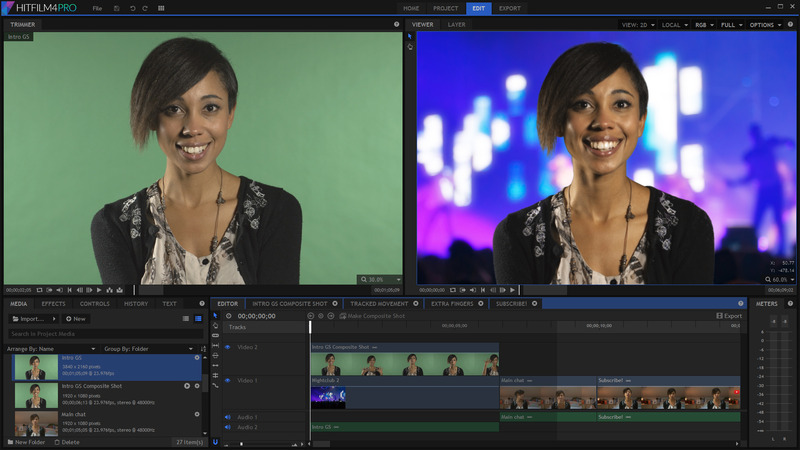 Be your own studio: ​Be an editor, VFX artist and colorist at the same time. 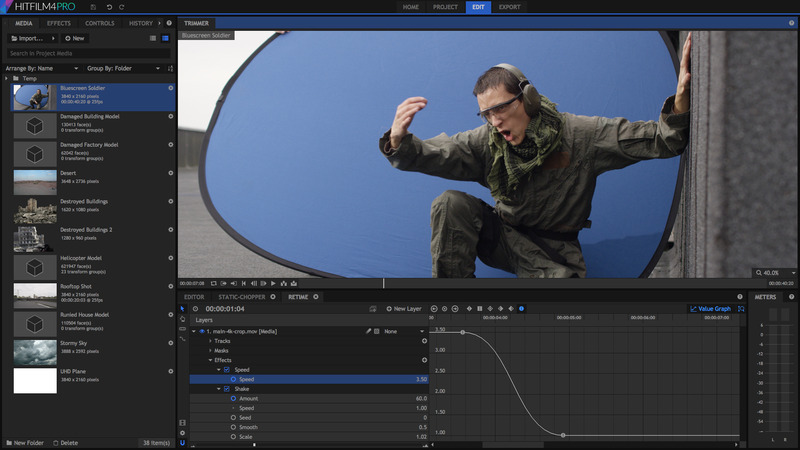 HitFilm 4 Pro merges professional 3D compositing and over 200 effects with its editing tools. A smarter timeline: ​Switching between your edit and visual effects shots is as quick as changing tabs in your web browser. Better than reality:​ Think bigger than the real world. Create entirely digital scenes and redesign your shots using advanced 3D compositing techniques. Your new VFX studio: ​Play with over 200 effects, each of which can be pulled apart, altered and put back together again to create something entirely new. HitFilm 4 Pro is a toolkit for constructing your ideas. The bigger picture: ​HitFilm 4 Pro includes over 140 premium plugins for​ Premiere Pro, After Effects, Final Cut Pro X, Catalyst Edit, Vegas Pro, Resolve & Motion.​ HitFilm technology is designed to work for you, wherever and whenever you need it. Live 3D model rendering: ​Animate objects and shoot with virtual cameras and lights, with real-time shadows, reflections and physically-based lighting producing beautifully photo-realistic results. Super fast GPU rendering keeps your productivity high, even while jumping between your edit and complex 3D scenes. Motion design & titling: ​HitFilm 4 Pro contains the BorisFX 3D Objects plugin (worth $299) for titling, ensuring that your opening titles will hook your audience right from the start. Create advanced 3D text, professional end credits and lower thirds with ease. Professional green screen removal: ​Advanced chroma key, matte cleaning, spill suppression and auto light wrap combine with sophisticated 2D and 3D layering to create green screen composites so realistic your audience will never even know. World class particle engines: ​Create weather systems, grow your own cities or summon swarms of creatures - it’s all in HitFilm 4 Pro, from grid patterns and fractally-warped, audio-influenced 3D forms to chaotic, physics-driven simulation. OpenFX plugins compliant: ​You can never have too many effects. That’s why HitFilm 3 Pro is an expandable platform with OpenFX compatibility, so that you can use your favorite plugins from other developers like GenArts. Organic particle shapes: ​Create awe-inspiring particle clouds based on 2D shapes or 3D geometry, then warp them into organic forms with extensive fractal distortion. You can even mix in an audio clip to automate the animation. Repair broken footage: ​Remove unwanted digital grain from your videos, fix jello-vision caused by rolling shutter cameras, stabilize jittery handheld shots and remove distortion from fisheye lenses. Correct your colors: ​HitFilm is packed full of color correction and styling tools. Enhance your entire frame or specify custom areas, such as an actor’s eyes or the sky in a wide landscape shot. Doesn’t matter whether you’re shooting on a DSLR or a RED Epic - HitFilm will make your movies look like a million dollars. Look spectacular: ​HitFilm 4 Pro’s professional color grading kit is packed with over 30 tools, including curves and intuitive color wheels. 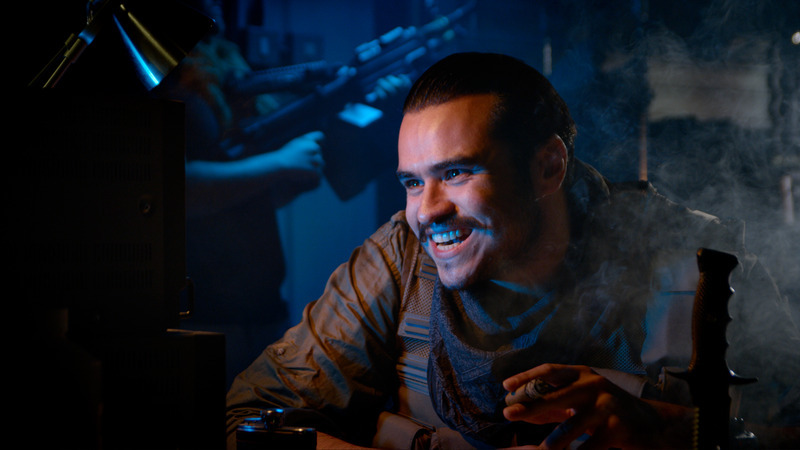 From subtle enhancements to dramatic stylistic statements, HitFilm is designed to make your movies look incredible. Tracking for every situation: ​HitFilm 4 Pro’s multiple tracking options keep your camera moving even when there are complex digital elements in the shot. Academy-Award winning planar tracking: ​A special version of Imagineer system’s mocha software is included with HitFilm 4 Pro for sophisticated planar tracking and camera solving for handheld and moving shots. No more tedious rotoscoping. Fire and lightning: ​Procedurally generated fire and lightning with accurate behavior and appearance can be further enhanced with heat distortion and post-processed lighting effects. An infinity of weapons: ​HitFilm 4 Pro’s gunfire effect generates an endless variety of muzzle flashes, from pistols to miniguns. Unlike pre-rendered stock, these can be rotated in full 3D to work from any angle. More than just a lens flare: ​Mix and adjust flares, anamorphic streaks, light leaks, sparkling highlights, volumetric 3D light rays and high quality glows to enhance your cinematography. Retro glitch: ​Grunge effects make your video look like old film stock, or a bad television signal. Break up your playback with jitters and stutters, introduce flicker and grain or even add procedural dirt to your camera lens. 3D camera projection: ​Take an ordinary 2D photo and convert it to a projected, photoreal 3D scene complete with camera movement. Professional formats:​ HitFilm 3 Pro’s 16-bit color pipeline and OpenEXR support ensures the best possible quality for your projects. Shoot with your smartphone or on a 4K professional camera. Less waiting, more creating: ​On fast machines you enjoy real time playback thanks to 64-bit architecture and GPU-acceleration. More complex shots are proxied in the background while you keep working.